Tourism of Galicia and RENFE offer the opportunity to discover new landscapes, wandering the Galician towns and cities. The GALICIA RAIL PASS lets you use regional, conventional middle-distance, long distance and Avant trains on the RENFE network in Galicia as often as you like during 3 days. Throughout the year you can do it on weekends (Friday to Sunday), bank and ordinary holidays; and in the summer season (between June 1 and September 30, both inclusive) you can use it any day of the week. This voucher is personal – so you cannot transfer its’ use – and its validity period is 3 days. 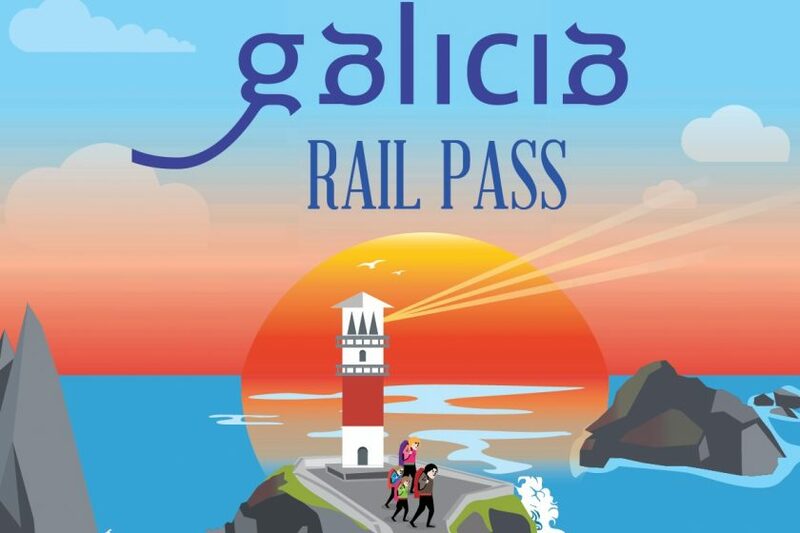 The GALICIA RAIL PASS can be bought by all those pilgrims arriving in Santiago to obtain the “Compostela” as well as all tourists arriving in Galicia on a long distance train. It can also be enjoyed by those who purchase a ticket for any of the Tourist Trains of Galicia (more information on www.turismo.gal). With this voucher you can take advantage of discount prices and/or free entrance to the most important museums of the seven main Galician cities. You can purchase your voucher at points of sale at railway stations. This summer board a train, forget the car and enjoy Galicia.